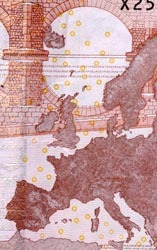 Wikipedia on the EURion Constellation. 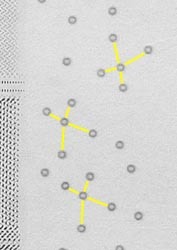 Markus Kuhn, "The EURion Constellation," Computer Laboratory, University of Cambridge, 2002-02-08. 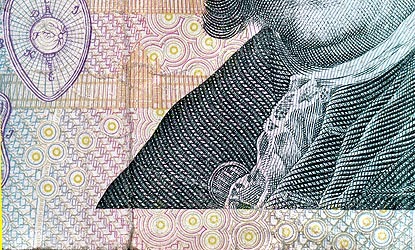 Steven J. Murdoch, "Software Detection of Currency". 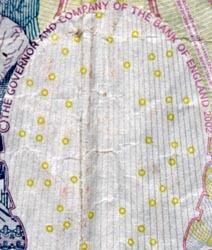 The "constellation" consists of five circles arranged like the starry constellation of Orion. 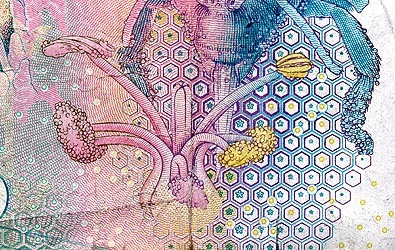 It is found in different orientations on the paper money of many countries. 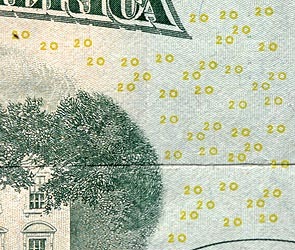 The EURion Constellation is intended to prevent color copiers from reproducing images of contemporary currency. 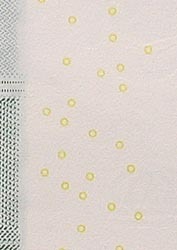 This constellation is printed in yellow (or variants of green and orange) is most visible in the blue-channel of any of the color images. 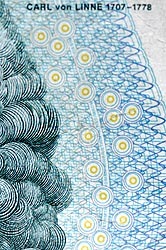 Currency designers have made special efforts to "hide" the pattern in the "look" of the banknote. 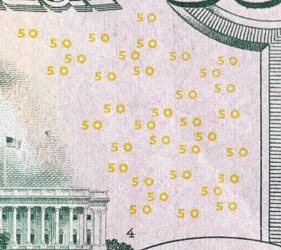 Adobe PhotoShop and other software also detects images of currency and will not open them. 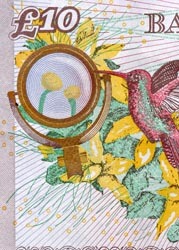 They key in on other patterns more subtle than the constellation. 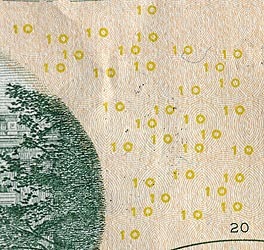 The algorithms for these other "tests" for currency are not publically known, but are the subject of research by computer scientists. 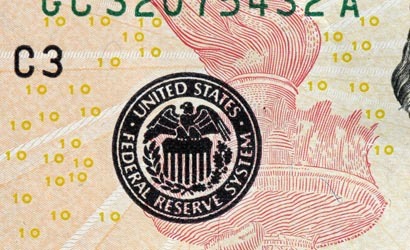 All images are in compliance with the the Central Bank Counterfeit Deterrence Group (CBCDG). 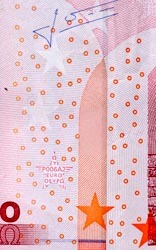 Click for enlargement. 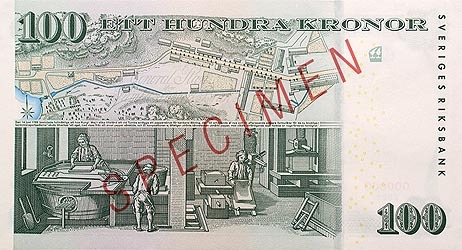 Swedish 100 Kronor note. 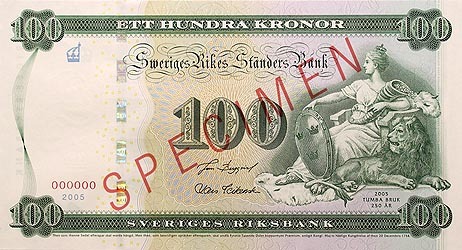 Image source: Sveriges Riksbank. The EURion Constellation in full color. by looking onlyl at the blue-channel. The EURion Constellation in color. 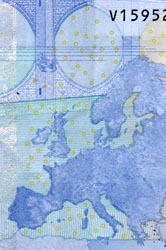 Image source: European Central Bank. 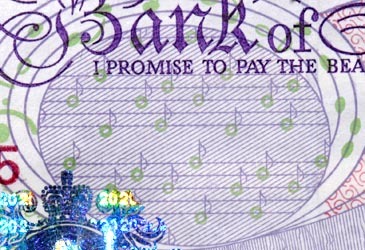 Image source: Bank of England. 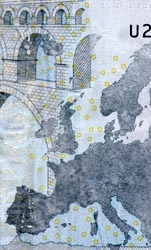 The EURion Constellation "hidden" as musical notes. 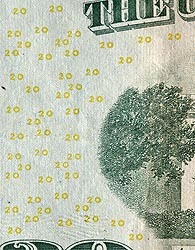 Image source: U.S. Bureau of Engraving & Printing. 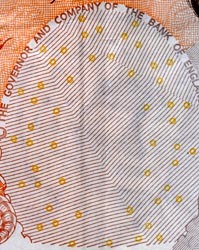 The EURion Constellation is at the left on the front of the note and at the right on the back of note. 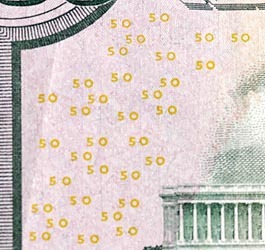 Having established the precedent of hiding the circles as zeros of the denomination, how do you combine a "0" with a "5"? 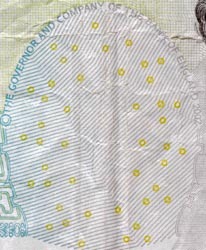 The EURion Constellation on both sides of the back of the note. 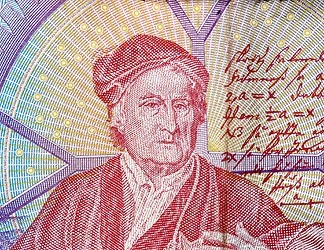 Back, right panel. 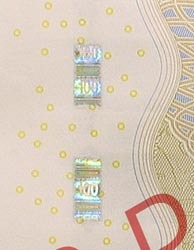 Full color image (left) and blue channel (right). 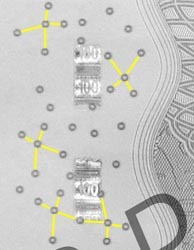 The EURion Constellation"hidden" as "100"s.